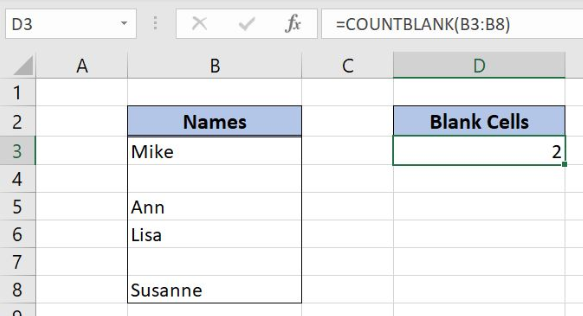 Excel allows us to count cells that are blank in a range using the COUNTBLANK function. 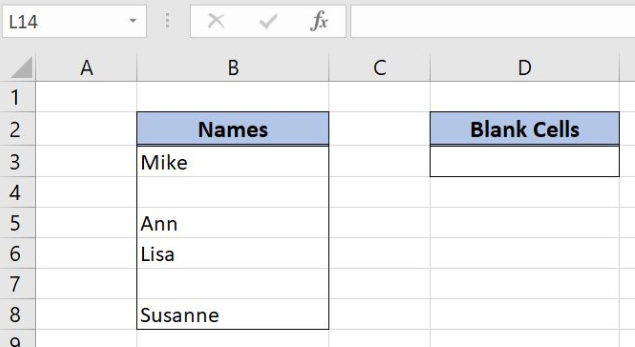 This step by step tutorial will assist all levels of Excel users in counting blank cells in a range. range – a range of cells where we want to count blank cells. Note that the function doesn’t take in a count blank cells as a result of other functions. In column B (range B3:B8), we have the list of names with blanks. In the cell D3, we want to get the number of blank cells in the range B3:B8. In the cell D3, we want to get a number of blank cells in the range B3:B8. The range parameter is B3:B8. As we can see in Figure 3, there are 2 blank values in the range (B4 and B7). 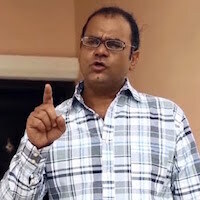 Therefore, the result in the cell D3 is 2.